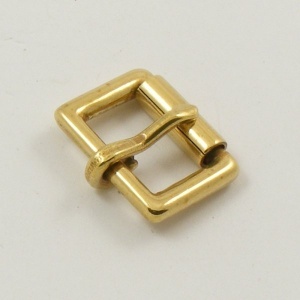 These roller buckles are cast from solid brass, giving them the strength and reliability needed for use on dog collars, horse tack, etc. 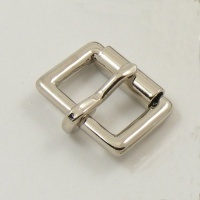 They are excellent quality and far stronger than 'wire formed' buckles. 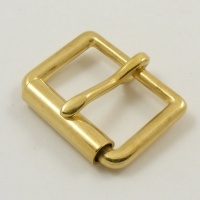 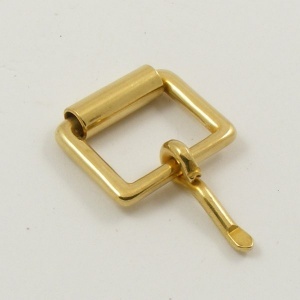 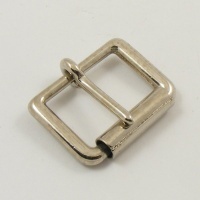 This is 1 x 5/8" (16mm) cast brass roller buckle. 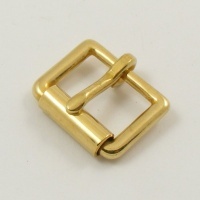 We also sell them with a nickel plating, and in several other sizes - see below in related products.